Ahead of the crucial third phase of assembly polls, Home Minister P Chidambaram on Monday said that West Bengal was the 'worst-governed' state in the country and blamed the CPI-M and its cadres for spreading violence and turning the state into a 'killing field'. He also said that the states finances were in a "precarious" condition. "For too long we had a government that had neglected governance. West Bengal is the worst-governed state in the country and our immediate concern is law and order," he told media persons in Kolkata. 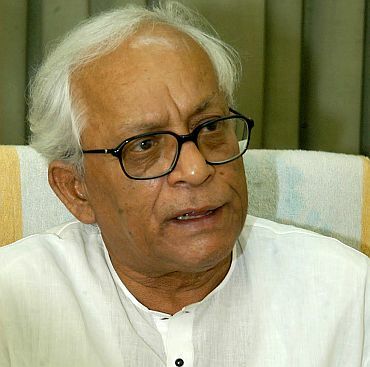 Chidambaram, who was in Kolkata to campaign for the Congress-Trinamool Congress combine, said, "For the last two to four months I have been bringing to the notice of Chief Minister Buddhadeb Bhattacharjee and his colleagues that law and order is deteriorating." However, the chief minister was in a state of denial and the 'bubble' burst when Netai (where nine people were killed) occurred, he said. "I squarely blame the CPI-M and its cadres for procuring arms and spreading violence and turning the state into a killing field," he said. Chidamabaram said, "I sincerely hope that after the change of government, the Centre and the state government will work together to stop the killings." 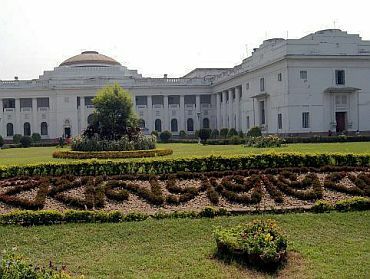 Seventy-five constituencies will go to polls on Wednesday in the state in the third phase of assembly election which is crucial for the Congress-Trinamool alliance. Chidambaram said that since 2004 revenues of all states had increased and no state had to resort to overdraft for the last four to five years, the only exception being West Bengal. 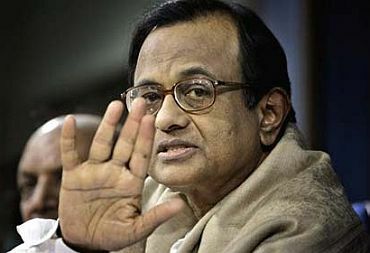 Describing the state's cash position as "precarious", Chidambaram said that during 2010-11, West Bengal had taken overdraft on seven occasions and during 2011-12 it has already taken one. "It is one of the debt-stressed states where the tax-GDP ratio is the lowest among general category states." The state has a borrowing ceiling, but it continues to borrow in excess of that limit as "it has been allowed to do so". 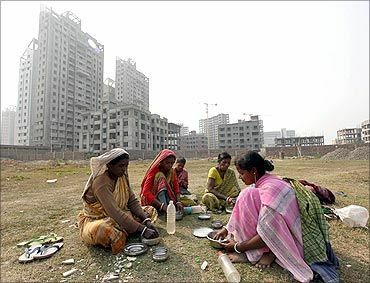 Chidambaram said that in April, Bengal had gone for open-market borrowings for an amount of Rs 3173 crore and described the revenue deficit as "worrisome" and interest payments "high". "The present government cannot improve upon that, but will make it only worse. Only a new government with new energy and new thinking will help the state turn around. I look forward to a new government coming in Bengal and assume office in a month's time. I have come here to offer my advance congratulation to the people of the state to bring about a change," he said.